The Chicago Mirror is a gorgeous piece. It is fashioned with an Art Deco flair. The main frame is shaped like a fancy key hole. It is then finished in a lovely glossy white, then trimmed on the inner and outer borders in a gorgeous gold leaf. It is a perfect focal point for any design. 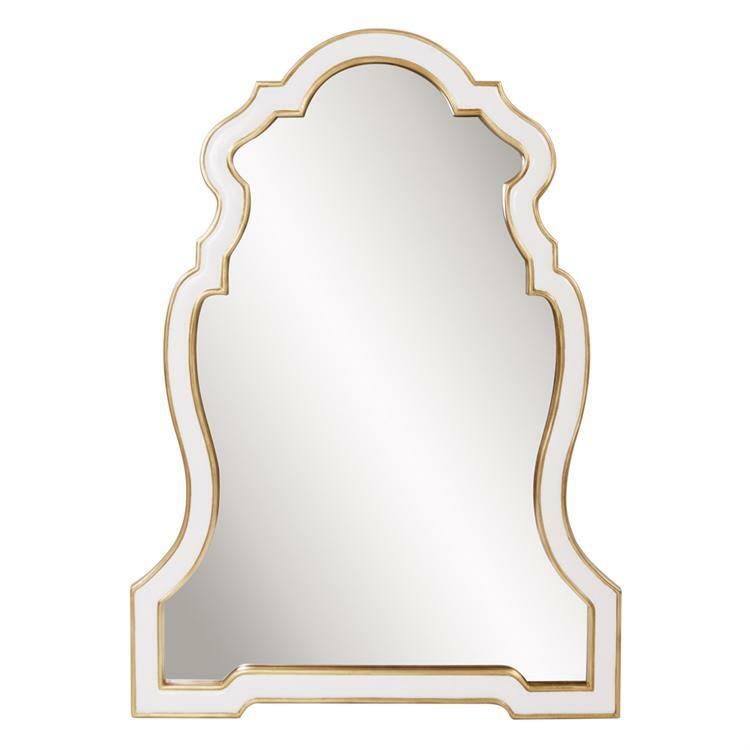 The mirror on this piece is NOT beveled. Customizable for larger orders.